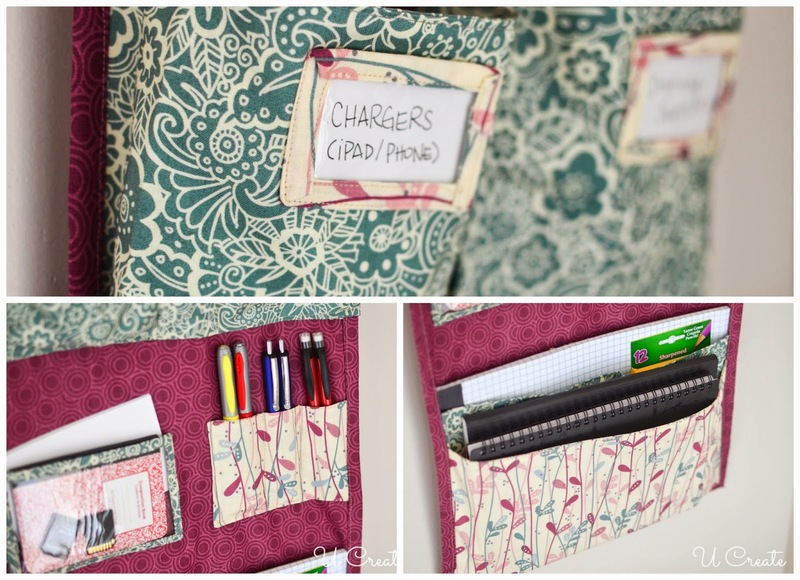 To create this organizer and make an effective tutorial, I started at the top and worked my way down. Although there may seem like a lot of steps to this project, it’s really quite simple and comes together fast. Okay, ready? 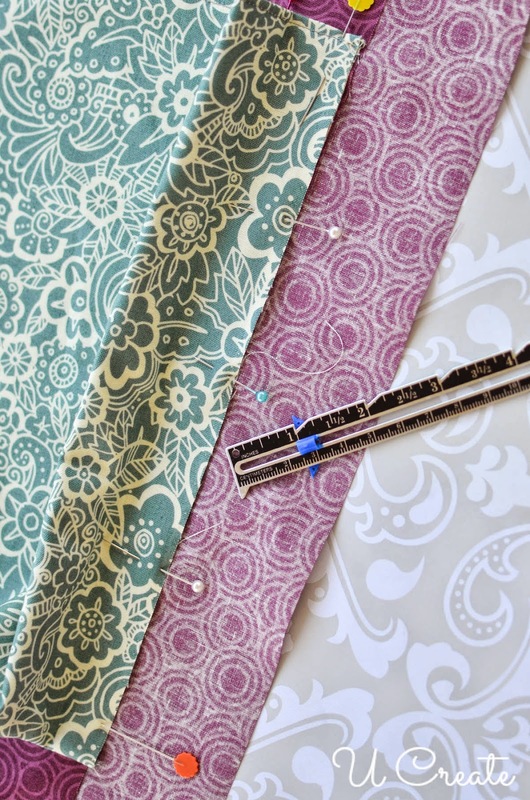 Step 1: Create a trim for top strip of accent fabric using the other accent fabric. 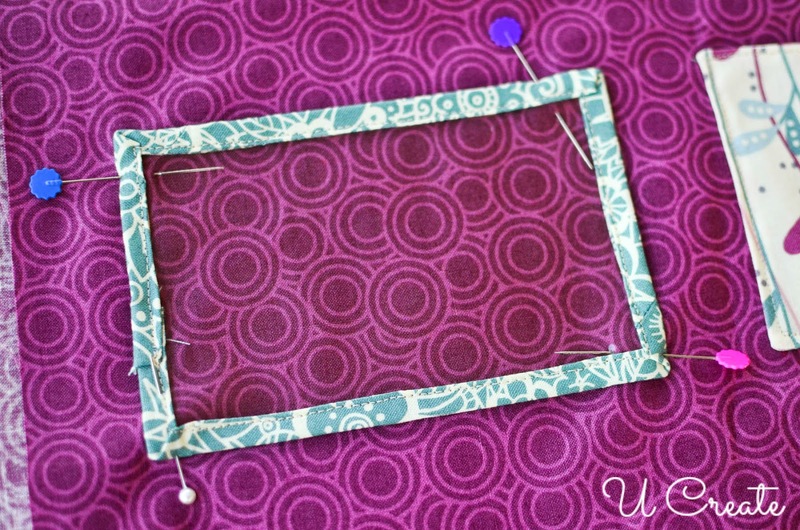 Do this by taking the long thin piece of fabric you cut and ironing it in half. 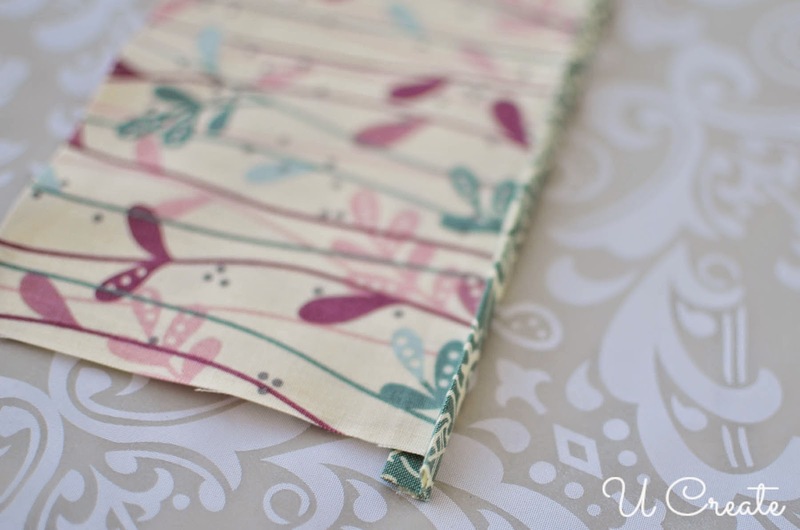 Then unfold it and iron the sides into the middle, creating a folded trim. 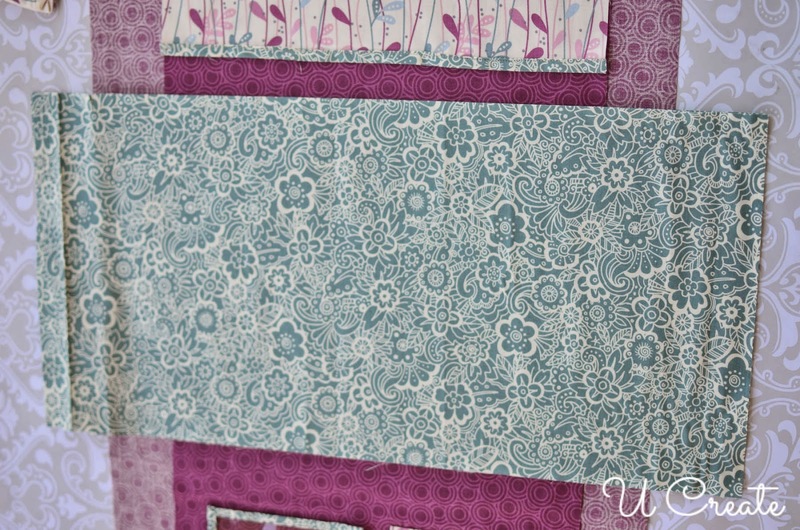 Step 2: Place the two strips of accent fabric wrong sides together and then position the trim you just created along the edge of the accent fabric. 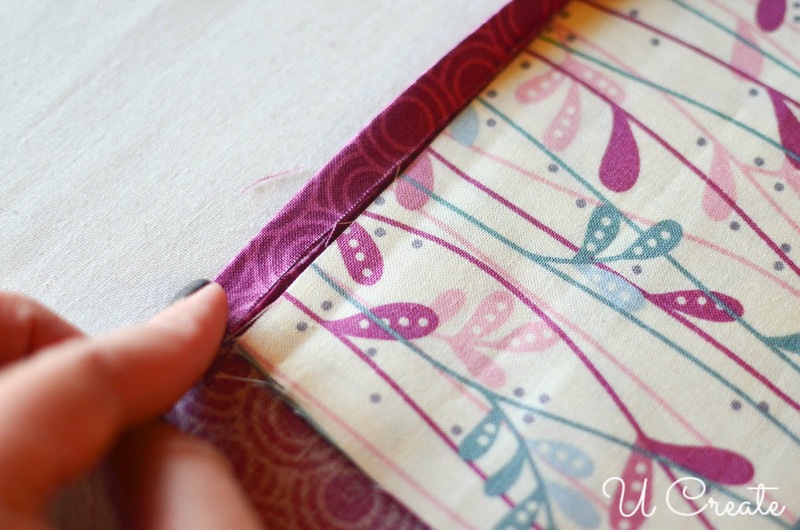 Step 3: Pin it into place and sew a line 1/8″ inch from the edge of each side of the trim. Like the photo below. 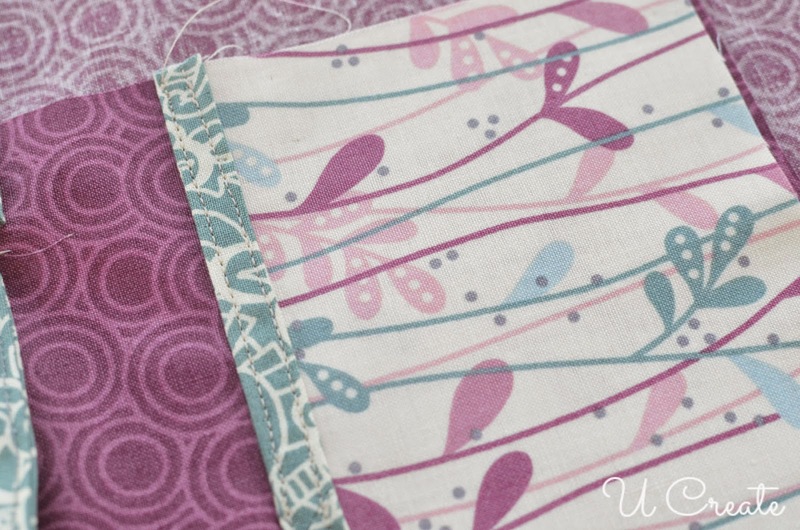 Step 4: Lay the finished strip flush with the top of the background fabric. 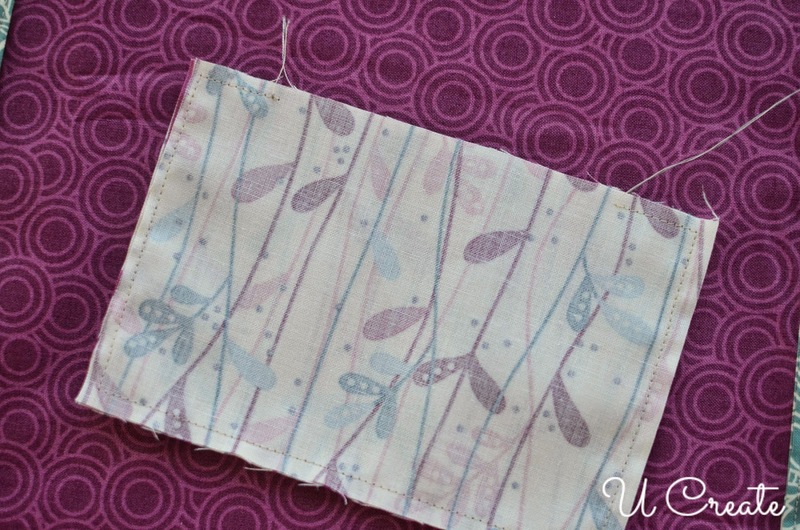 Step 5: Take the fabric for the double pockets and iron them. 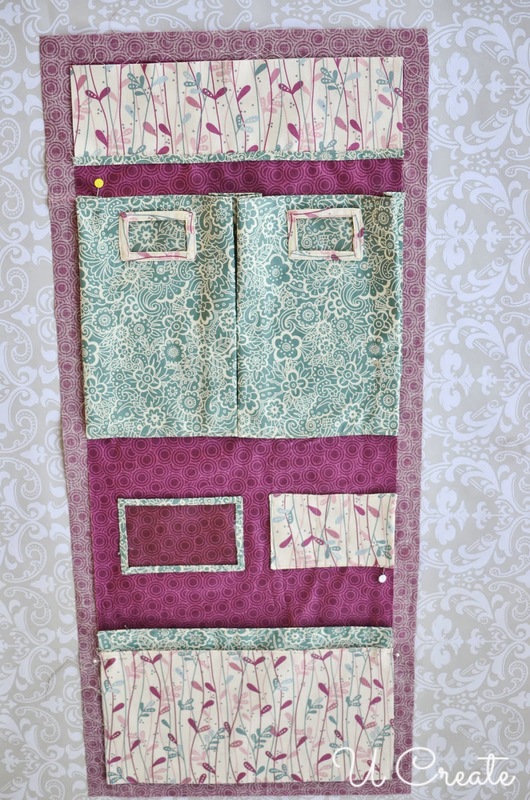 Step 6: Place the fabric right sides together and pin the long sides. 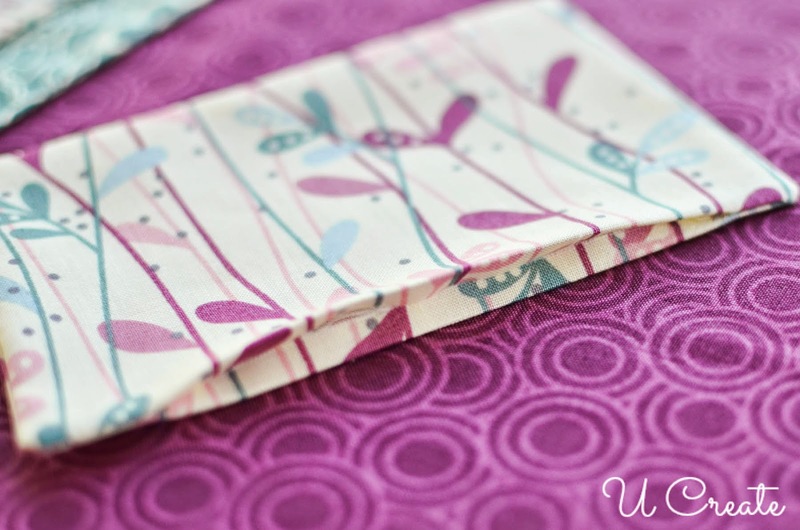 Sew a 1/2″ seam allowance along both long edges. Step 7: Turn the pieces right side out and iron. Step 8: Sew 1/8″ top stitch on the right side of the long edges. 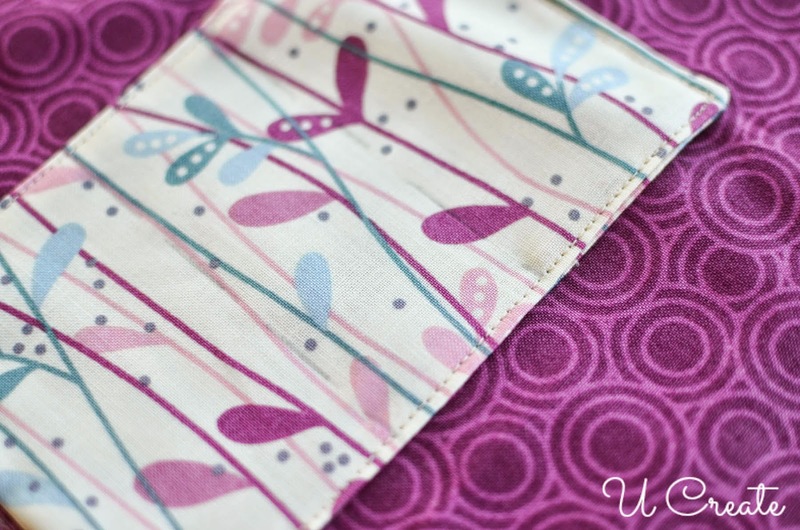 Step 9: Lay the pocket fabric 1.5″ from the bottom of the top accent strip. 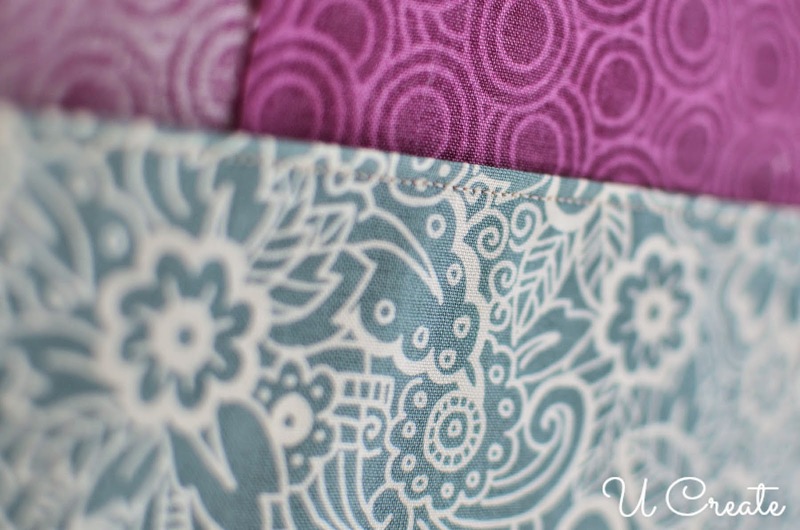 Lay one short edge of the pocket fabric flush with the raw edge of the main background fabric. Pin it in place. 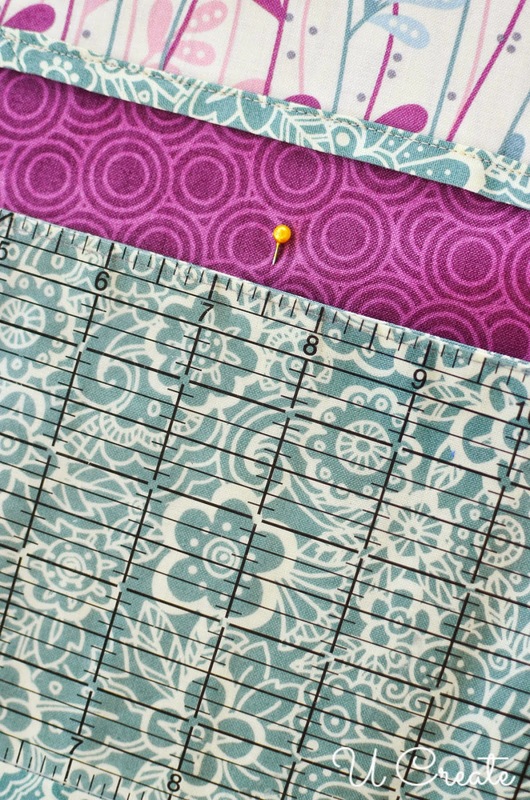 Step 10: Using a ruler, fold the pocket fabric over an inch toward the edge and pin in place. 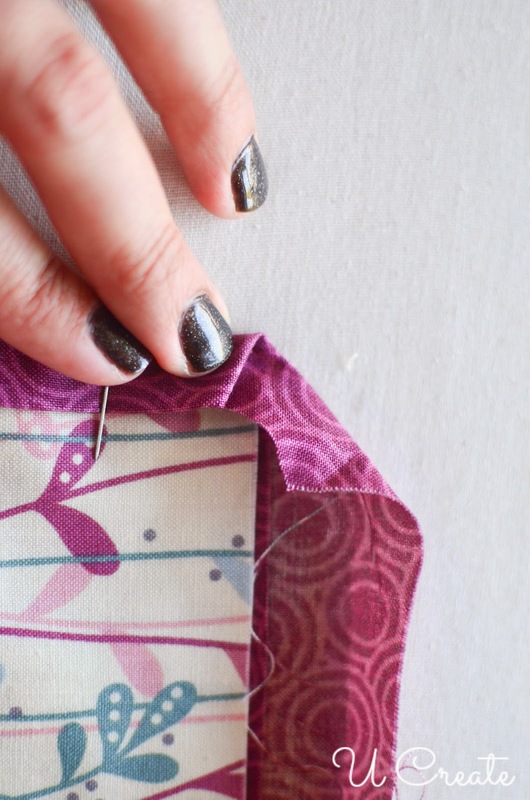 Do this all along the side of the pocket…iron flat. Step 11: Repeat step 10 on the other side of the pockets. Step 12: You still have some access fabric on top. 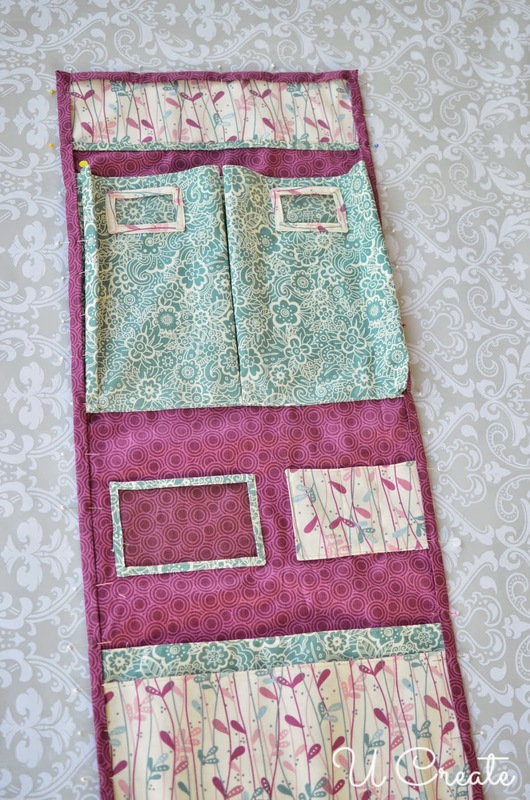 Don’t worry…you will create the two pockets. 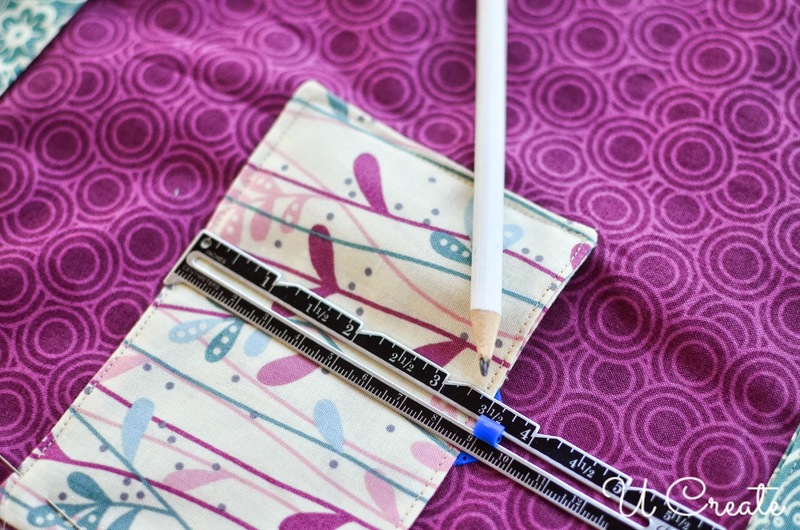 Step 13: Lay a ruler on the fabric starting at one edge of the pocket. Put a pin at the halfway mark…it should be 7.5″. Step 15: Iron the middle with a hot iron to create the creases. 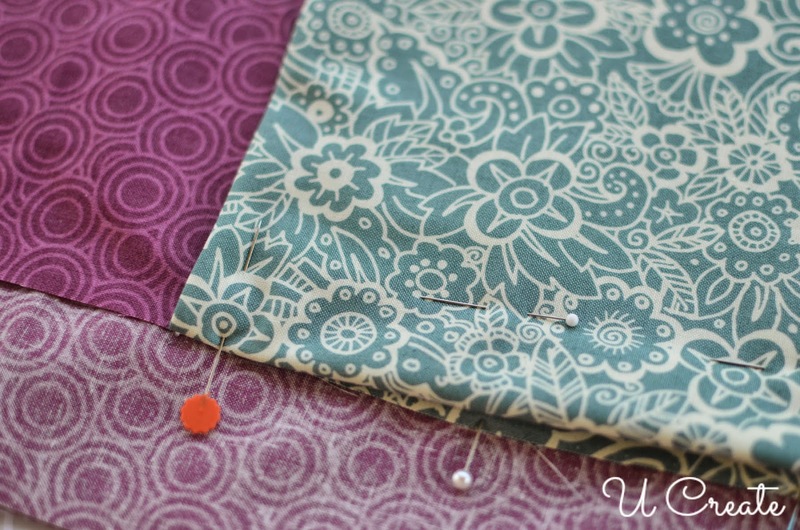 Step 16: Unpin one side and sew a straight line down the middle using the fold that you didn’t unpin as your guide. 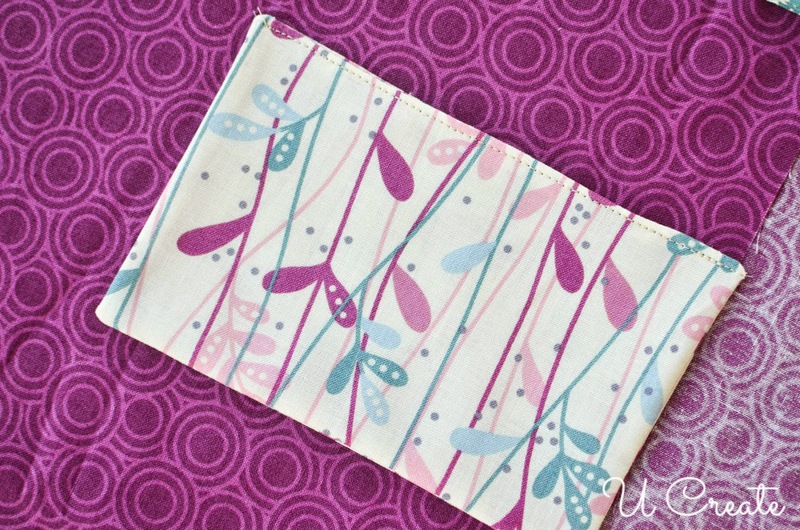 Step 17: Sew a straight line along the bottom of the pockets…about 1/4″ from the bottom. 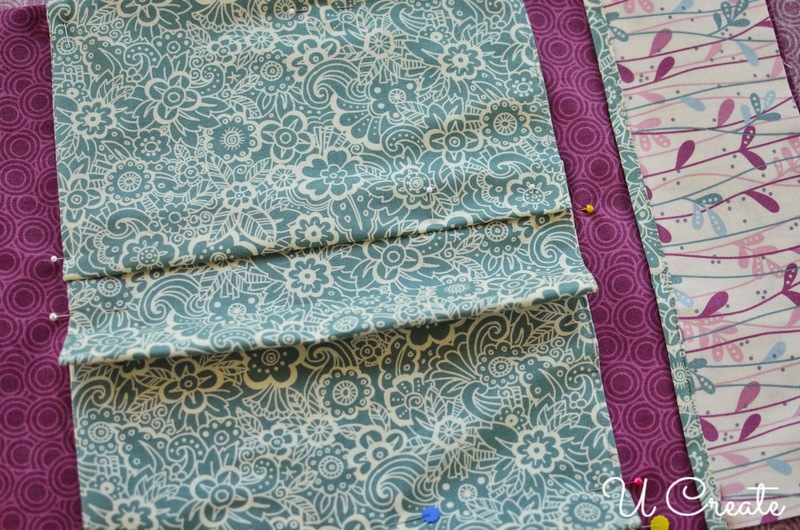 Step 18: Now you have two pockets…well, almost…one side is still pinned for now. 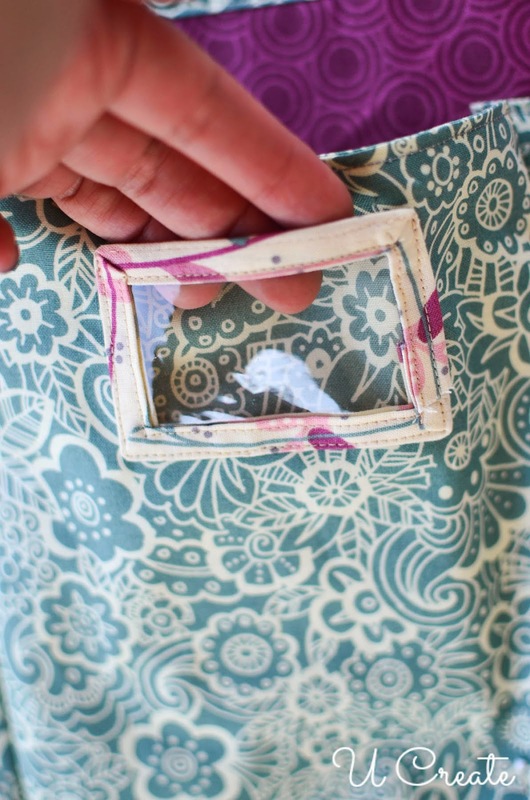 Step 19: Create bias tape/trim for the clear vinyl pockets and sew it onto the vinyl using a 1/8″ stitch from the edges. Do this to all the vinyl pieces. 1. 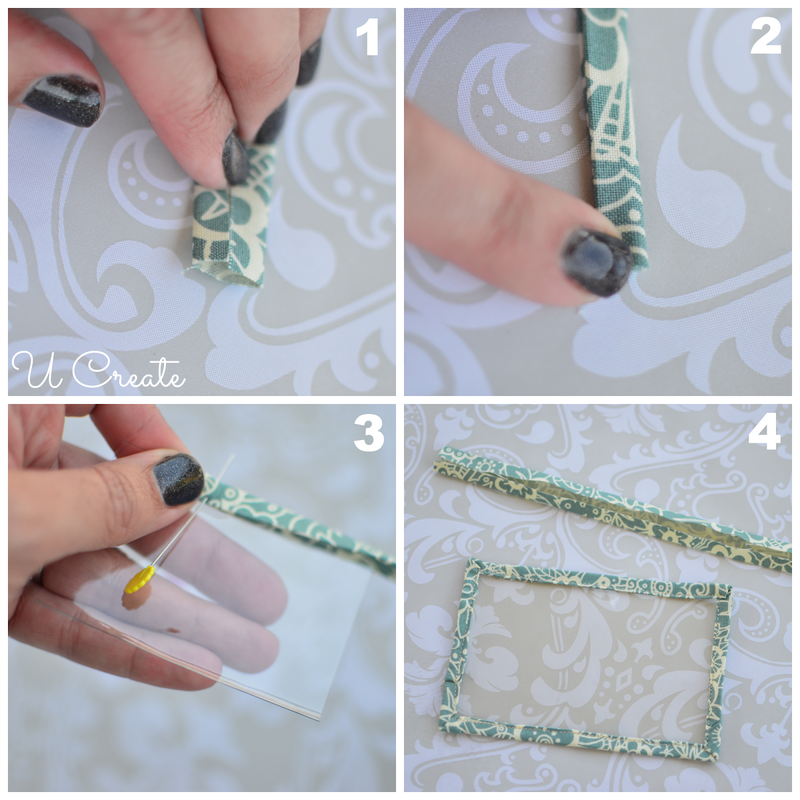 Fold/Iron accent strip in half, unfold and fold the sides into the middle crease. 2. Fold in half and iron flat. 3. Pin around the clear vinyl. 4. 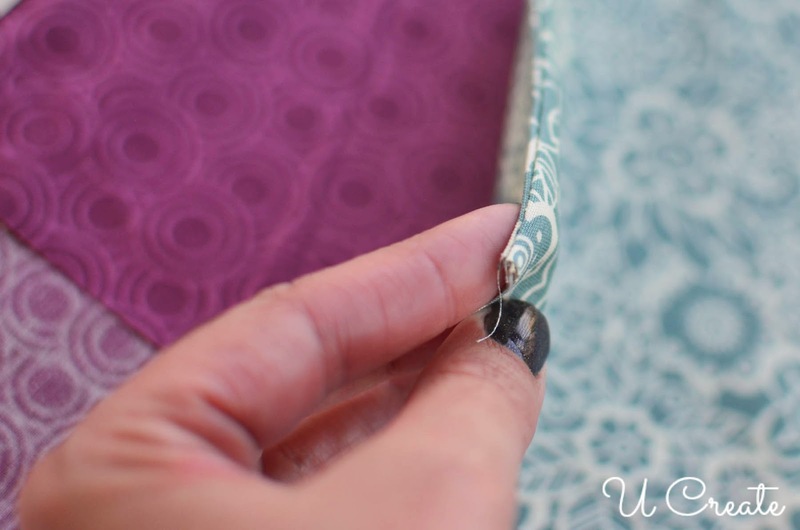 Sew 1/8″ inch from the inside edge of the trim. 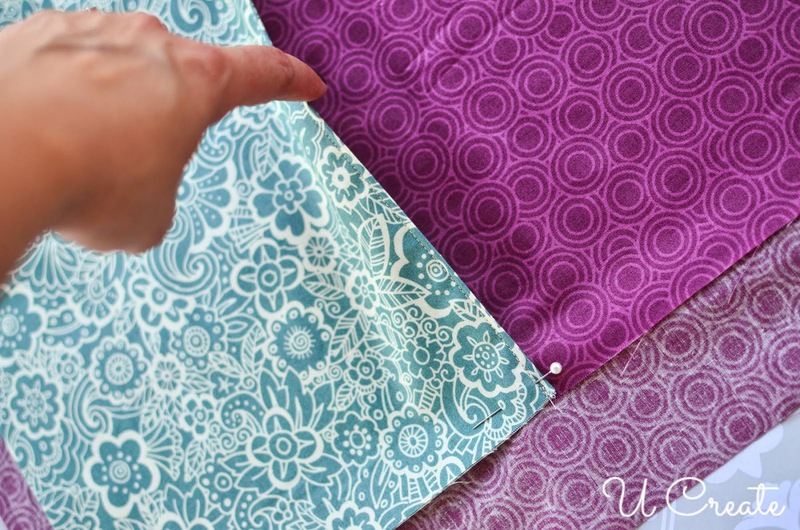 Step 20: Unpin the double pockets so you can sew the vinyl label pockets on. 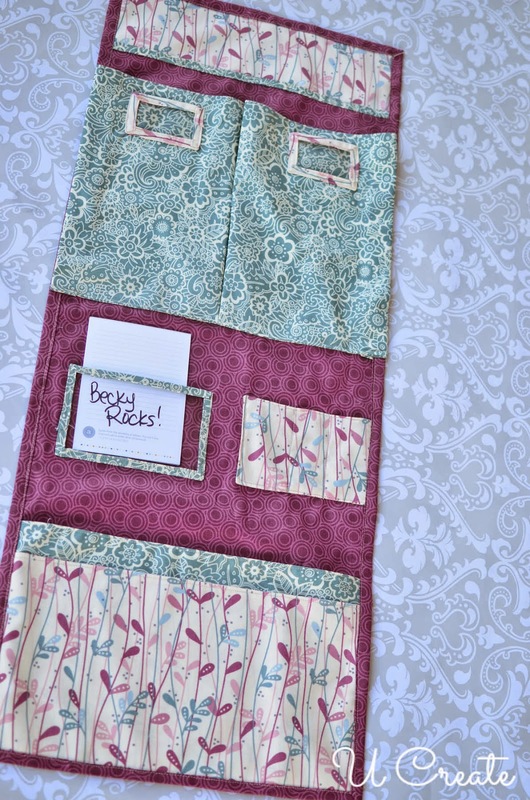 Again, I eyeballed where I wanted the label pockets and pinned them in place. 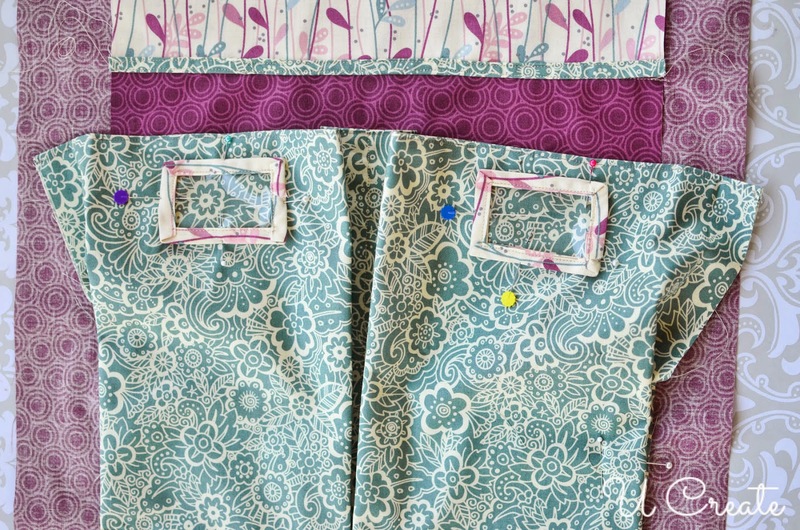 Step 21: Sew around the three edges of the label pockets and leaving the top open. 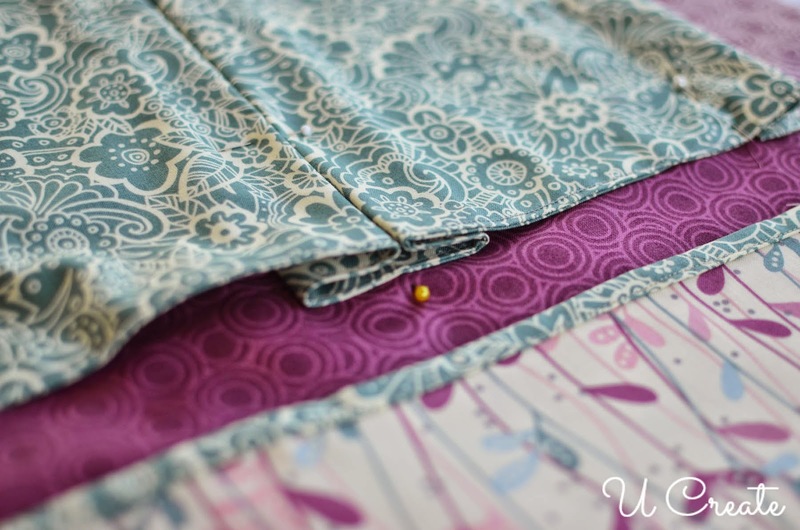 Step 22: Repin the side of the double pockets. 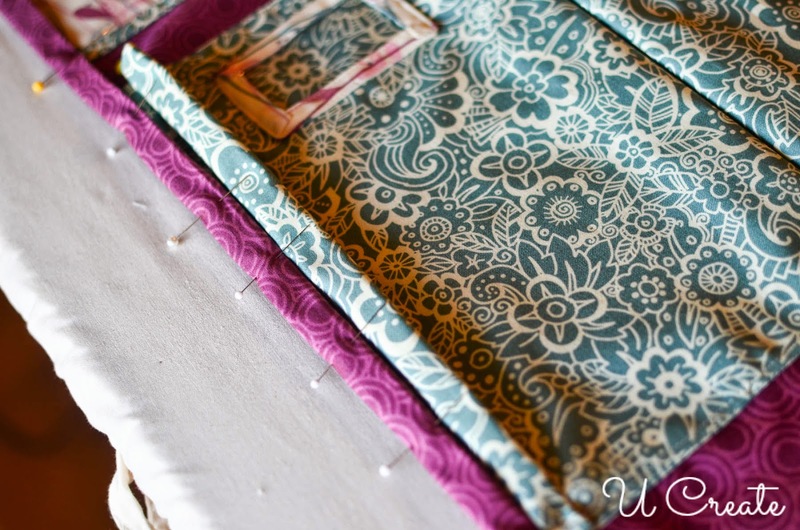 Step 23: Take the accent fabric for the notebook pockets and put them right sides together. 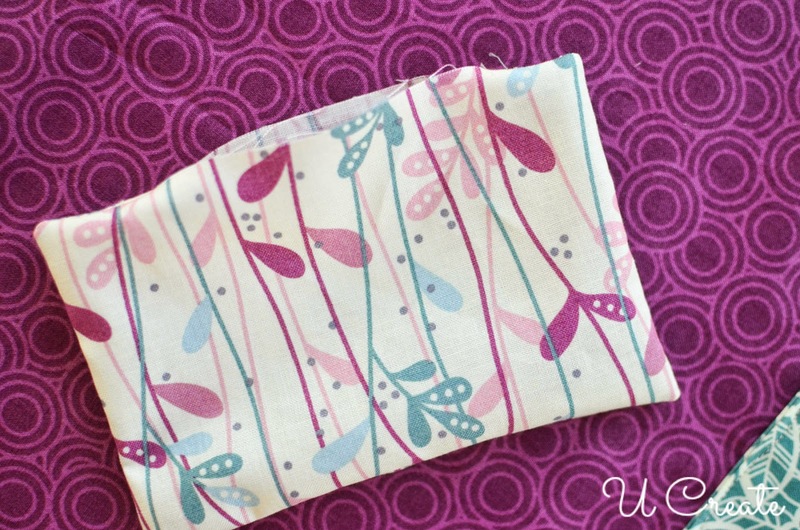 Pin one long side and sew with 1/2″ seam allowance. 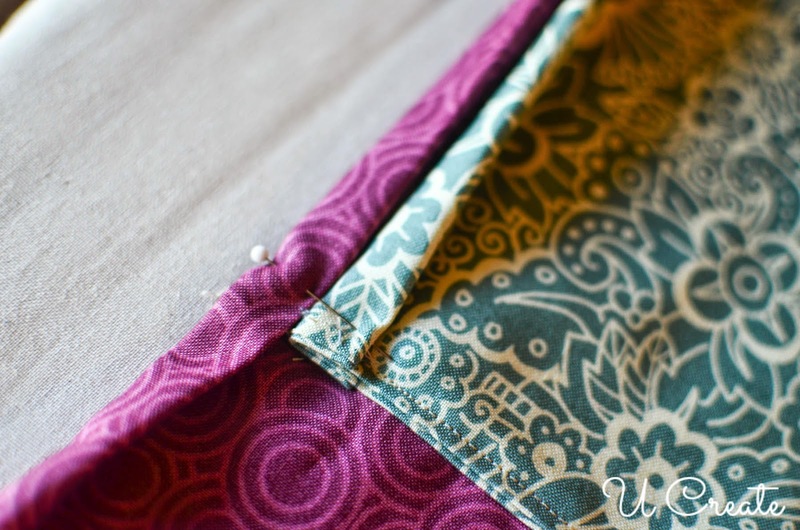 Fold right sides out on the seam and iron. 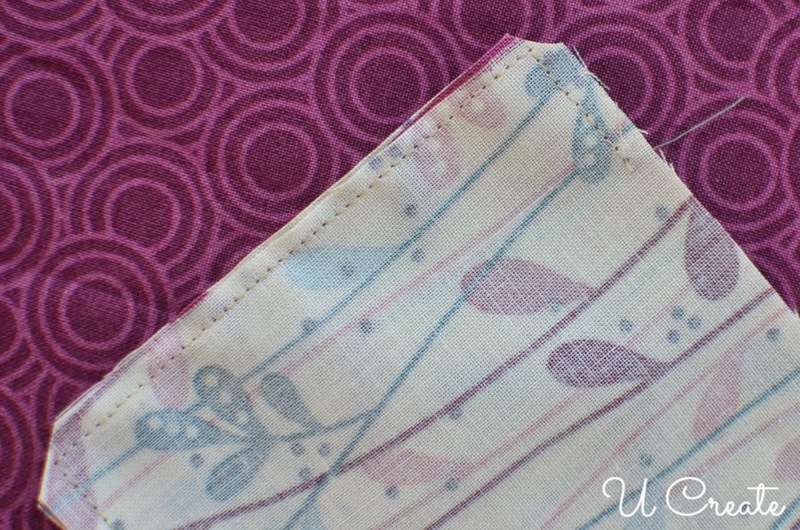 Step 24: Sew 1/8″ stitch on top and lay the bottom unsewn long edge flush with the bottom of the background fabric. Pin the sides. Step 25: Repeat step 23 to create the second notebook pocket and pin in place. 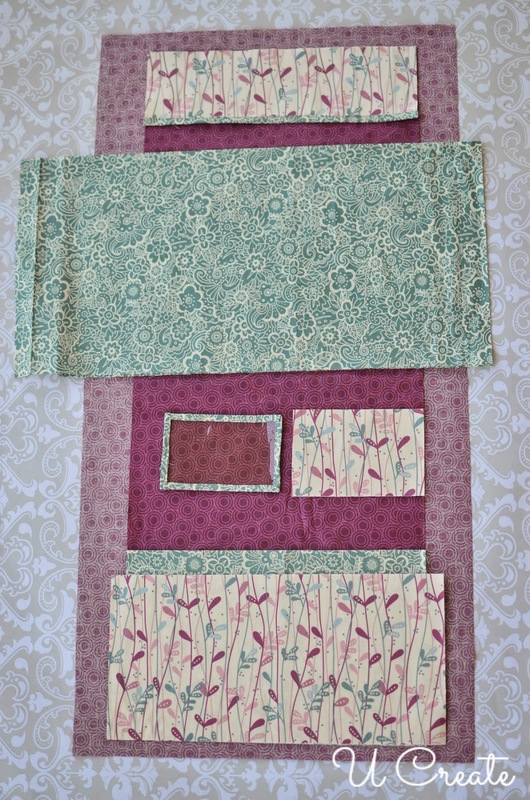 Step 26: Take the 2 fabric pieces for the pencil pockets and place them right sides together. 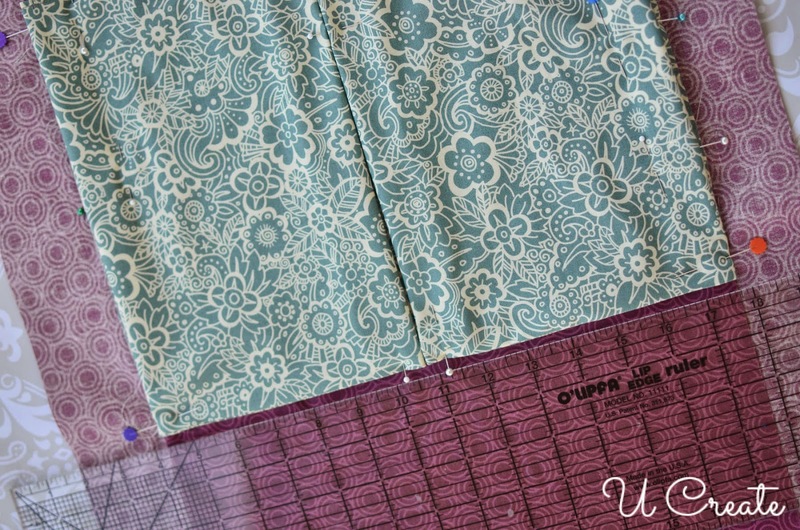 Step 27: Sew all the way around using 1/4″ seam allowance EXCEPT for a 2 inch opening. Step 28: Clip the corners at an angle. Step 29: Turn it right side out and iron it nice and flat. 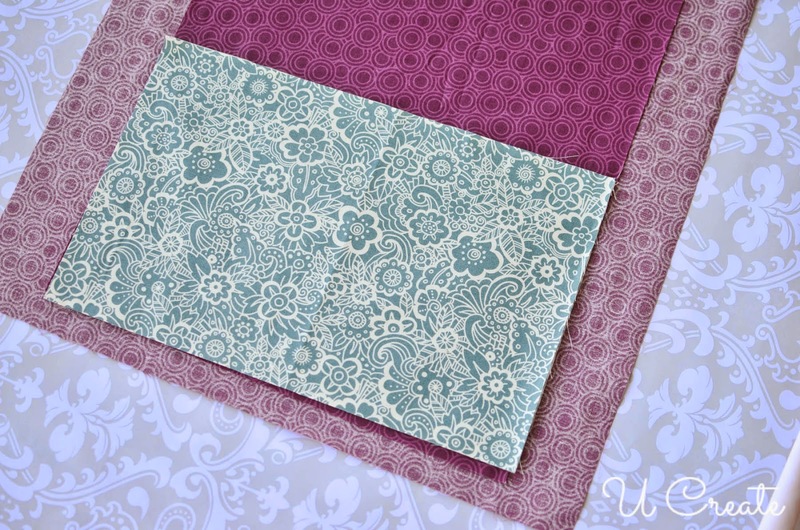 Step 30: Fold the open section under 1/4″ and iron it. 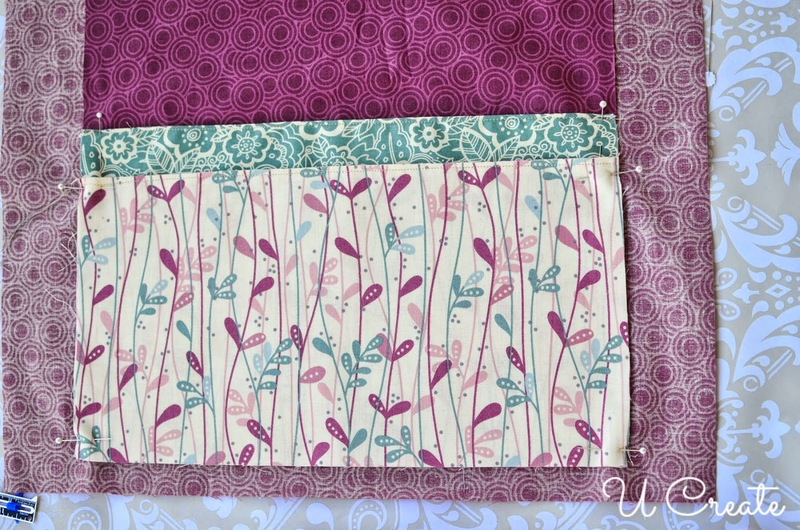 Step 31: Sew a 1/8″ topstitch across the top closing the open section. Step 32: Lay it flush with the edge of the background fabric in between the double pockets and the notebook pockets. 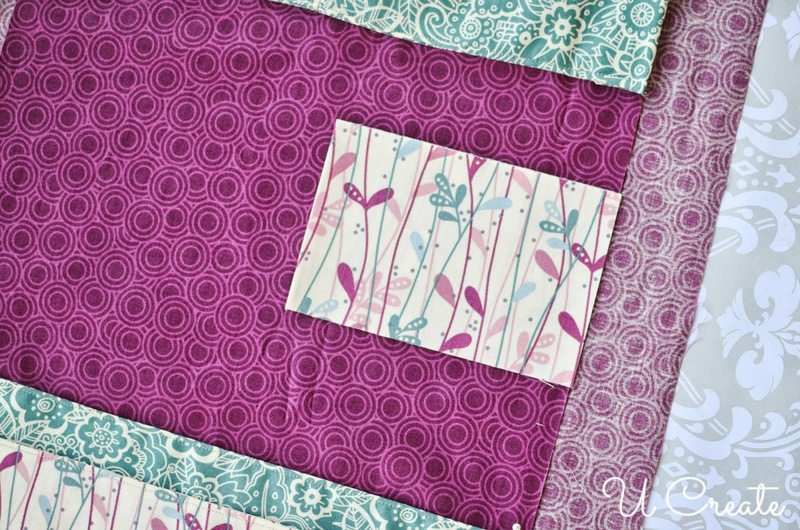 Pin it and sew a topstitch on the left side and the bottom. 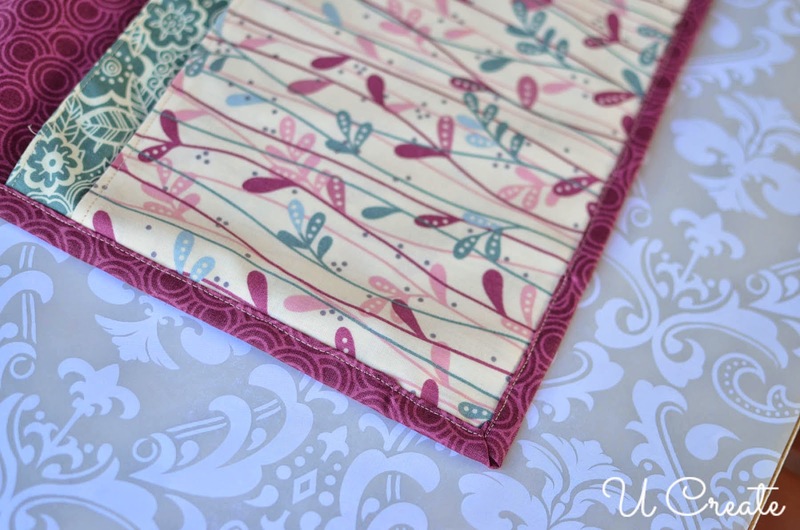 Leave the other side pinned…it will be secured when you are binding the entire thing. Step 33: Using a ruler and pencil, mark 1.5″ in from the left side and draw a straight line. Step 34: Draw another line 1.5″ from the last one. Sew a straight line on your pencil mark. 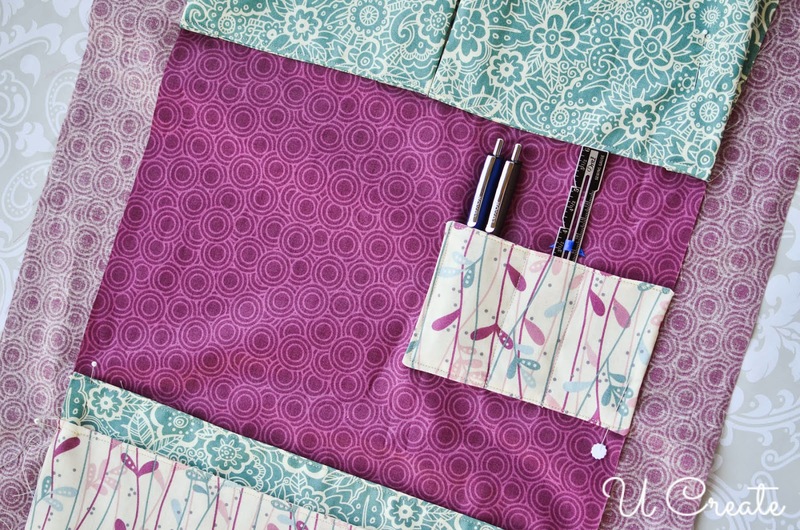 Step 35: Now you have 3 small pencil/pen pockets. 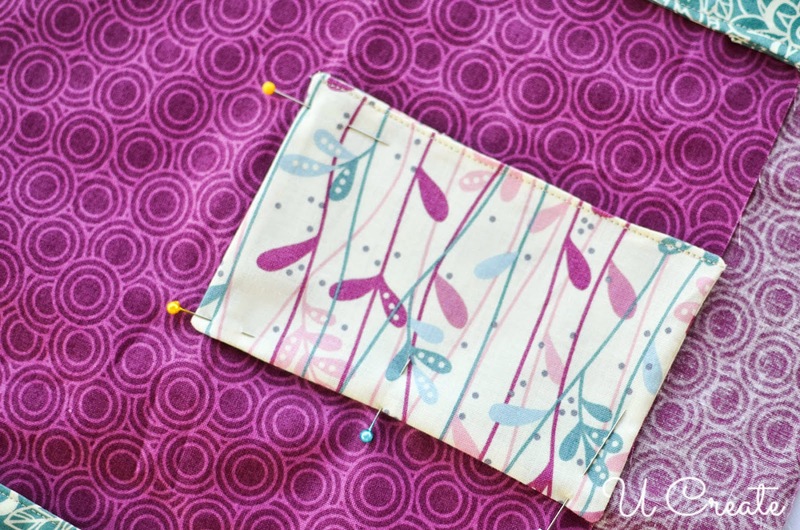 Step 36: Place the 3.5″ x 5.5″ into place and sew a topstitch around the edge. Step 37: Make sure every piece is pinned where you want it and everything is straightened. 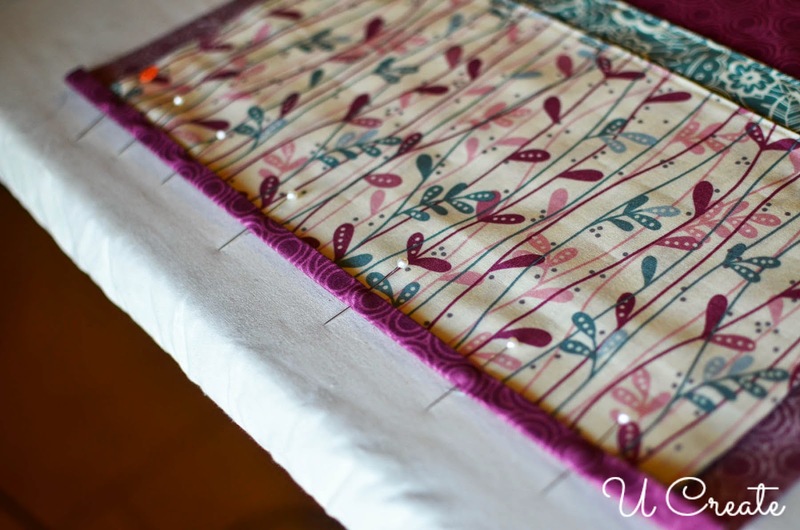 Step 38: Grab a lot of pins and head over to the ironing board. You will be there for a little while. 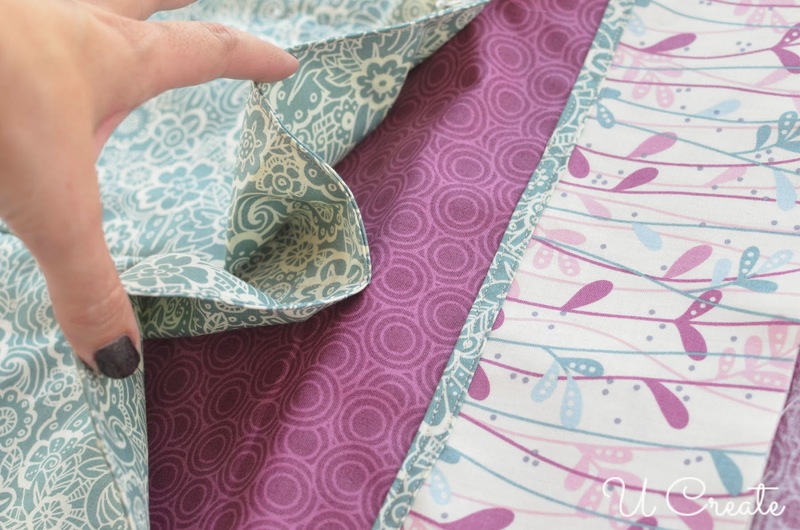 Fold the binding fabric in until it touches the main background fabric. Press with a HOT iron. Step 39: Fold the binding down again and press with HOT iron. Step 40: Pin that edge and head to the next one. 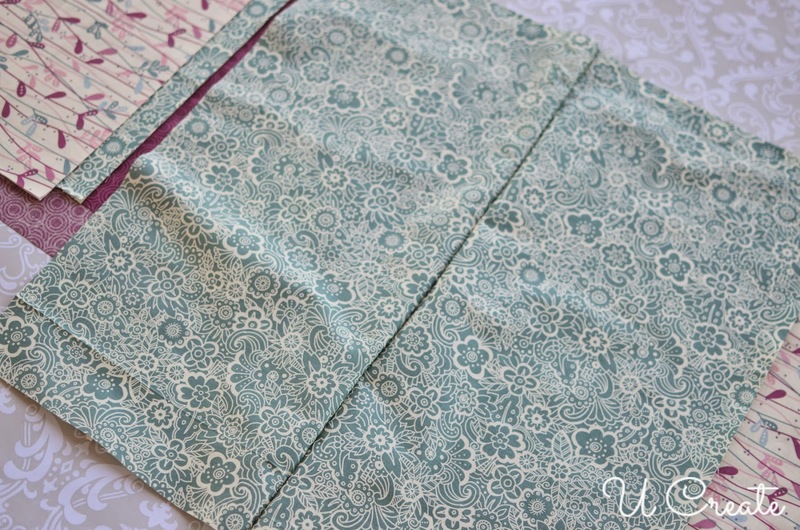 Step 41: Okay, when you get to the double pockets, the binding needs to go under the side of the pocket. It’s tough to explain, but the pictures are clear. Basically, I unpicked the stitching about an inch in. Step 42: Fold the binding in like the steps above and then pin it…you will eventually lay it back down once the binding has been sewn. 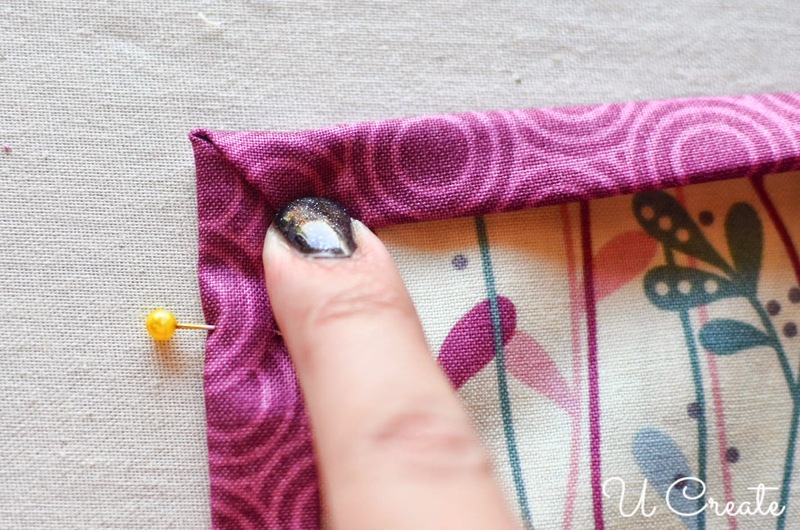 Step 43: Use the pin to hold the side of the pocket out of your way. 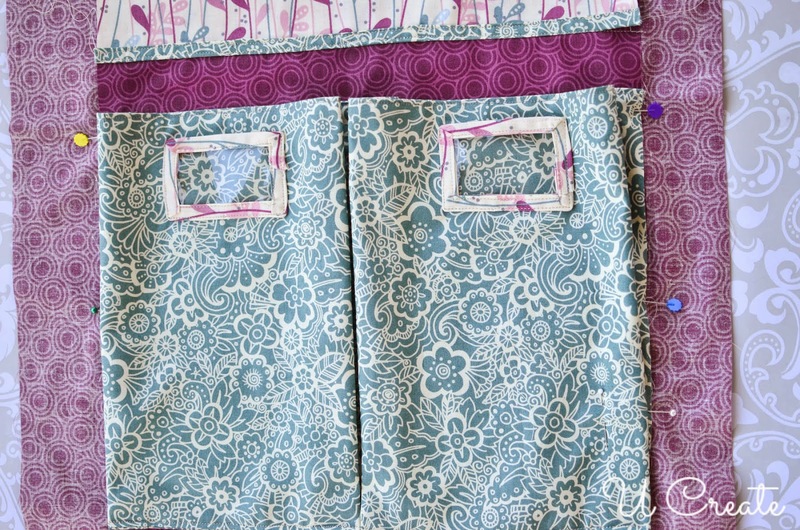 You need to sew the binding before you finish the pockets. 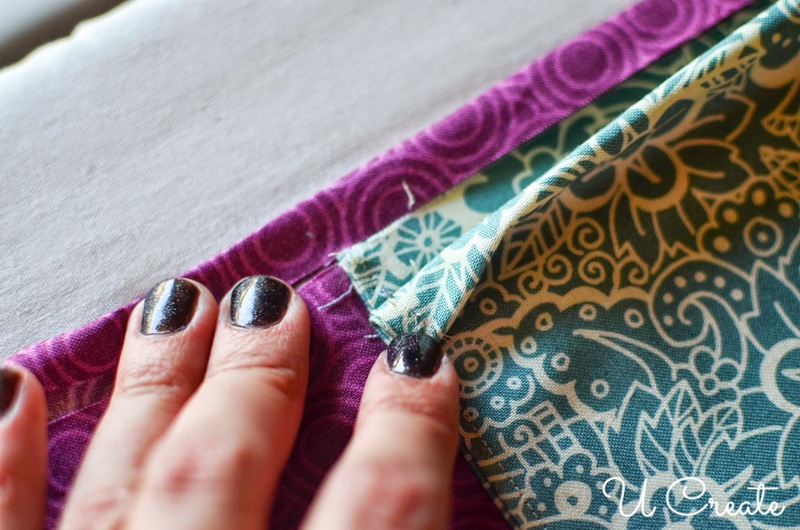 Do the same thing to the other side of the pocket and binding. Step 45: Making great corners just takes practice. I have no magic solution for this. I just cut the corner straight across and fold it to the corner of the front background. 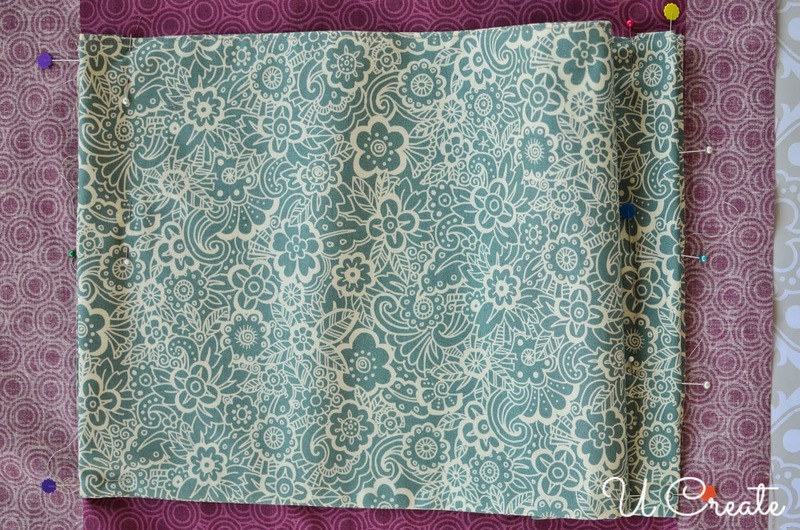 Then fold the binding over like I explained above. 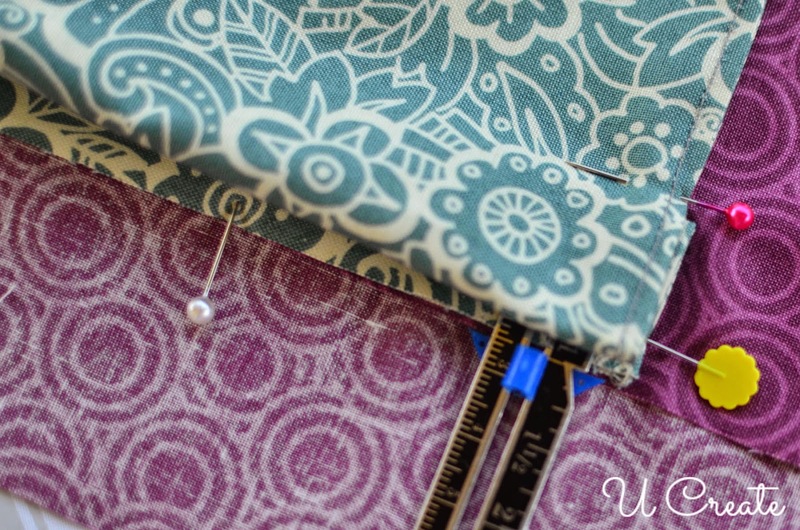 Step 46: Once you are done pinning the binding it should look like this…you’re ready to sew the binding. 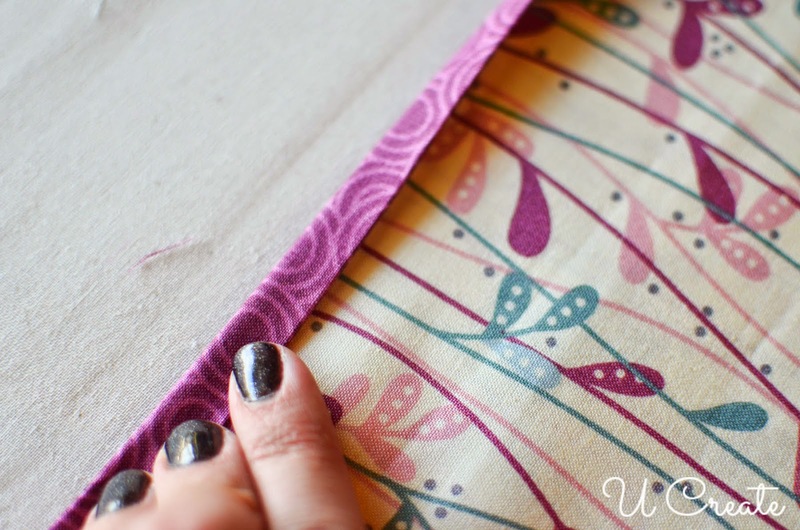 Step 47: Sew along the entire perimeter of the binding about 1/8″ away from the edge. 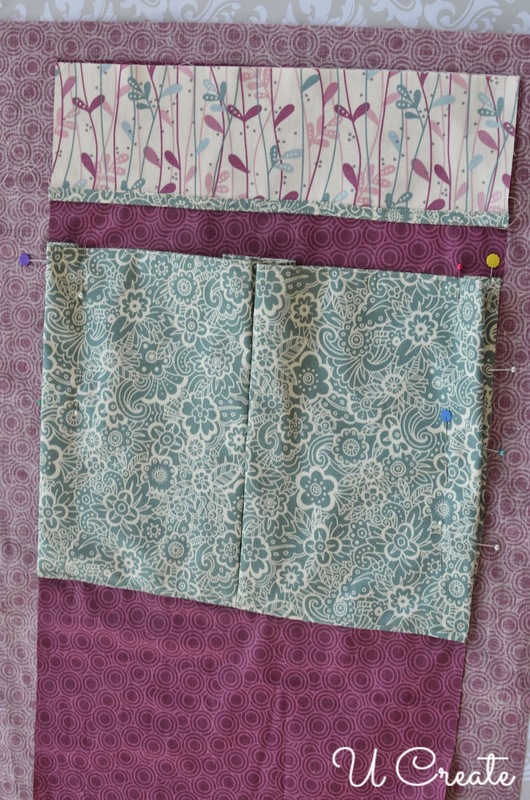 Step 48: Lay the bottom corner of the pocket over the finished binding and sew it down like the picture above. Do this on the other side as well. Step 49: FINISHED! Now to install the hardware so you can hang it. Step 50: I got some curtain grommets online and installed them per package instructions. It took 5 minutes tops! I put one on each side, but I think three would look cool, too. Totally a matter of taste on that one. 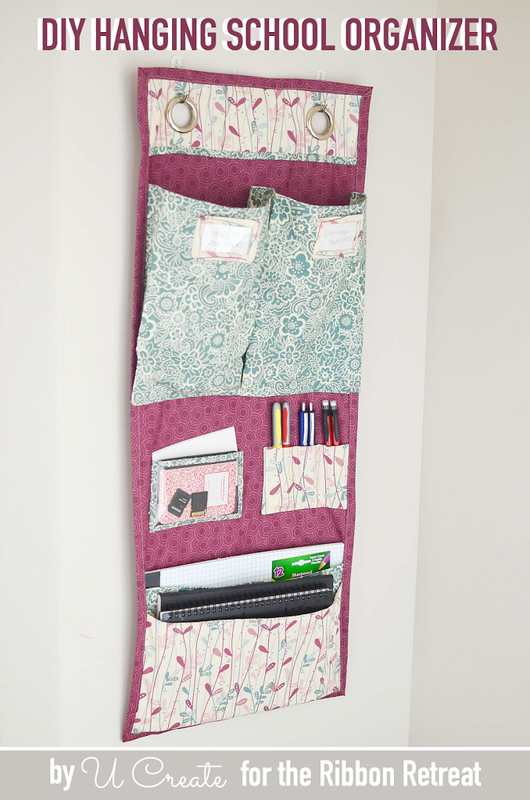 I used Command strips to hang this awesome organizer to the wall…ya know, because they don’t damage the wall. 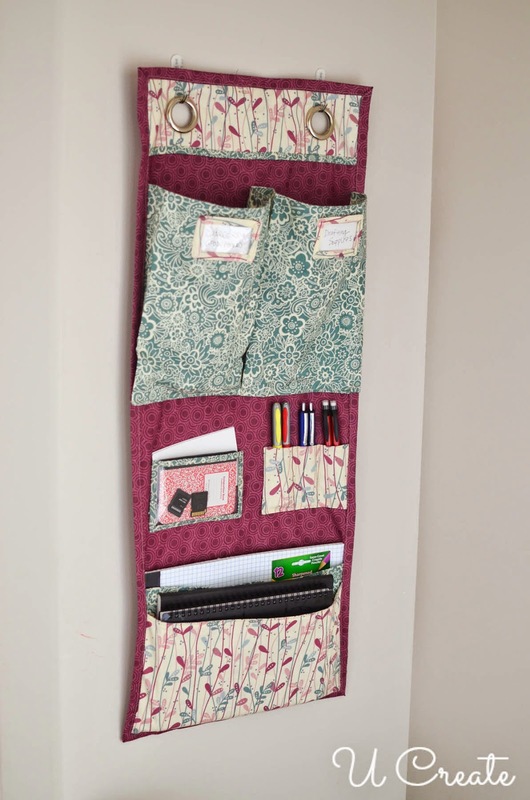 I use this awesome organizer to hold my art supplies and keep them out of grabby little hands, but I think it would be perfect for a dorm room or classroom or toy room. 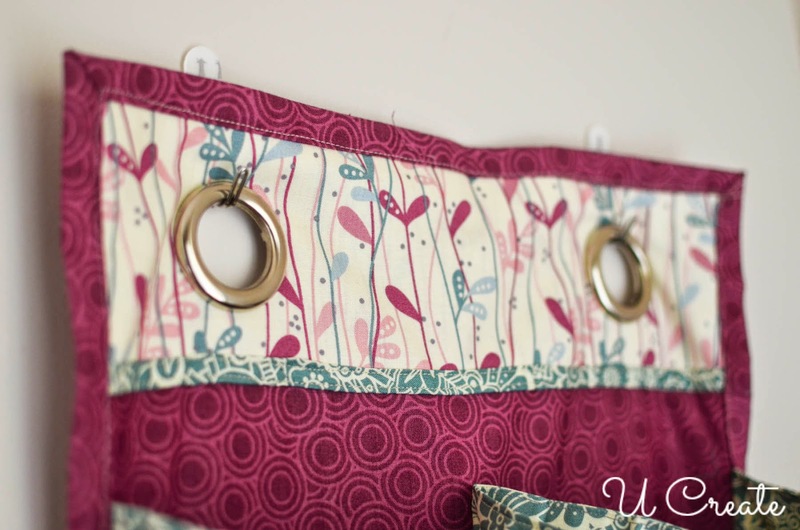 I would love to see pictures of your finished HANGING ORGANIZER when you make one! What an amazing giveaway, thank you! 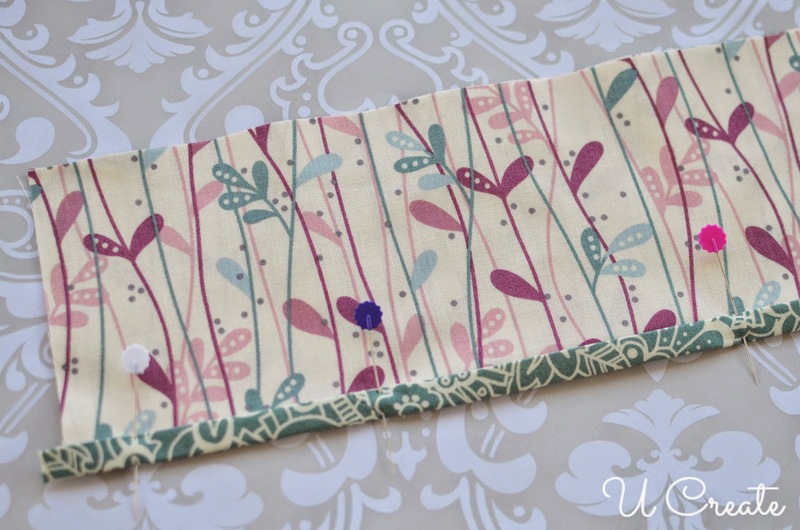 I would love a sewing machine! 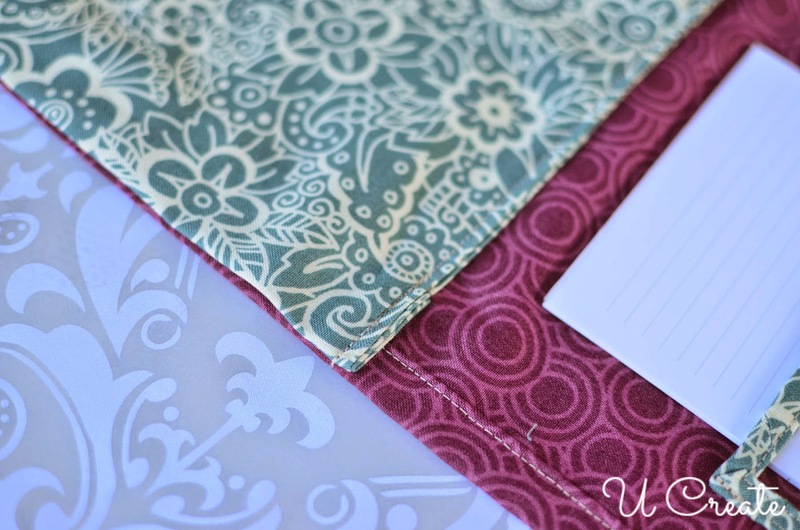 Love the organizational tips you gave us and love TRR! I need this so much, thanks for the chance.